The Wall Street Journal is reporting that business schools are taking a stand against academic rankings. Business-school deans and research faculty at more than 20 universities are taking a stand against the academic rankings published by media outlets such as Bloomberg Businessweek, Nikkei Inc.’s Financial Times and the Economist Group. Rather than “acquiesce to methods of comparison we know to be fundamentally misleading,” the administrators are urging their peers at other schools to stop participating in a process they say rates programs on an overly narrow set of criteria. Those in the business of rankings say that the rankings help students make an informed decision about what is likely among the most expensive purchases these students will make in their lives. 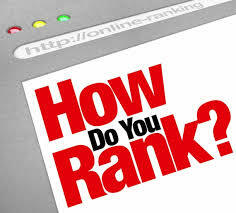 The administrators opposed to the rankings methodologies are of the opinion that if the goal is to help inform [students] about how to make the best decision about business schools, let’s give them the raw information, and not take numbers—which may or may not be relevant to the student—and bungle them together into a ranked list. The debate over business school rankings is interesting to law schools because many of the same arguments for and against rankings in the former professional school can be made for the latter professional school. Currently, law schools are ranked by less-than-transparent methodologies, particularly by U.S. News. After reading the full-length article, On Academic Rankings, Unacceptable Methods, and the Social Obligations of Business Schools, my astute colleague, Professor Eric Chiappinelli, noted that it was interesting to see [the authors'] emphasis on relative scores rather than absolute rank. E.g., in USN, Cornell would be touted as “81” and Texas as “75” rather than “13” and “14” as they are now. In USN-world, that shift would only highlight how bunched all the schools are, especially below the top 50 or so. With schools being so bunched, should they really be ranked? Or should they be considered for their other qualities, such as proximity to a particular legal market or the substantial offerings from the law library, for example. Changing the rankings would be beneficial for a variety of reasons. Currently, with the intense focus on rankings, many administrative and budget decisions come down to those that will raise rankings, and law libraries are often left out. It's a shame because law libraries provide an important function. Law libraries support the curricular needs of the law school, which helps with bar passage rates and employment. Law libraries also heavily support faculty scholarship, which helps to raise the peer-review ranking when faculty publish in top-ranked journals, etc.... These are just a couple of examples of the many supportive roles of the law library. Yet, when administrators consider programs that directly affect rankings, law libraries are often left out of the equation. Rankings need to change. The perception of a law library's affect on rankings also needs to change.